All Asphalt Paving & Concrete has been providing Tuttle and the greater Oklahoma City Metro area with high quality, custom concrete work since 1974. That’s right, for almost five decades, All Asphalt Paving & Concrete has been the premier concrete contractor serving Tuttle, OK residents and businesses. 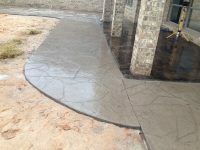 We specialize in being the best concrete contractor in Tuttle for concrete driveways, patios, and sidewalks. 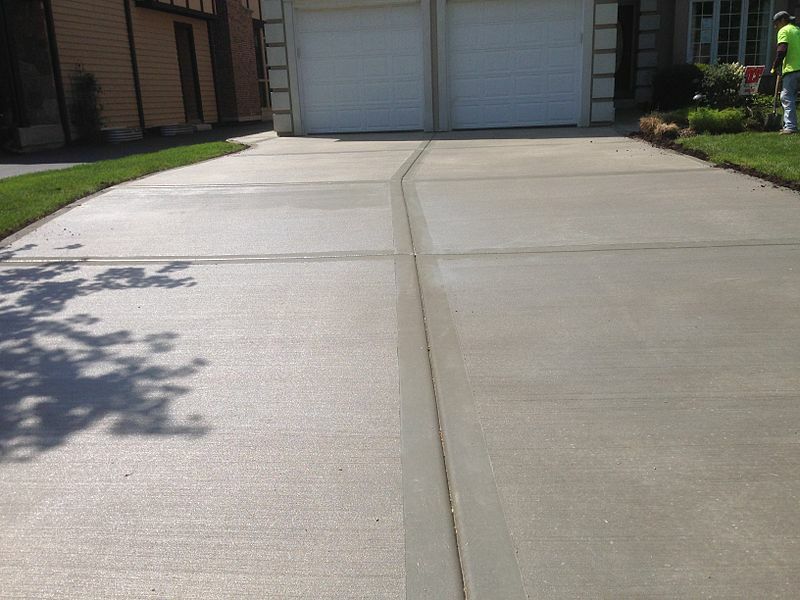 We also combine concrete with asphalt for some of our clients that have longer driveways in rural parts of Tuttle. Over the years, we have established ourselves as one of the leading concrete contractors in the concrete and construction industry since 1974. All Asphalt Paving & Concrete is very proud of the reputation we've built during that time and we always put our customer needs and satisfaction first. We offer our clients a one stop solution for all their concrete and asphalt construction needs. One of the things that we are proud about that makes our company stand apart from other concrete contractors is that we carefully listen to our clients concerns before we start the project. This allows us to design and build a concrete structure that meets, and even exceeds all of your expectations. There is no concrete job that's too big or too small for All Asphalt Paving & Concrete. We will assist you at every single stage of concrete construction process from the design and setup, to the pouring and finishing of the concrete structure. We always use only the finest and best quality materials, including the highest quality concrete, and we adhere to a strict code of professional concrete installation standards. Our emphasis is on top quality work which will last for decades while also maintaining the aesthetic beauty of the concrete structure. In the 44 years we have been in the building and construction industry, we have built a solid reputation for not only being the leading concrete contractors in Tuttle, but also one of the most dedicated concrete companies with great attention to detail and quality control. Our goal for almost five decades has been to complete your concrete project right the first time, on time and also on budget. We always take great pride in being honest and providing the highest quality concrete driveways, patios and sidewalks for your home or business. We strive to provide unparalleled quality concrete structures, along with great customer service and unmatched quality work. We also provide our customers with great innovative concrete designs for your home or business including stamped, stained and colored concrete. We offer a wide array of patterns, design and colors options for concrete which can resemble slate, brick, flagstone, wood and even stone. Our highly skilled and experienced team of experts have made us the concrete contractors of choice for all concrete installation needs for almost five decades now. The only limit to the style and design of your new concrete structure is your imagination. 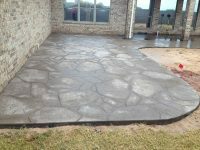 Our concrete specialists have designed and created some of the most beautiful concrete driveway and patio designs in the Oklahoma City Metro area. Whether it is installing a new concrete driveway, patio or sidewalk, or even pouring a new concrete pool deck, we can help you choose the best design and options for your circumstances. With over 4 decades of concrete construction experience, we know what works best and what will best suit your needs. We understand the importance of quality surface preparation, as this is the foundation for your new concrete structure. We are also aware that everybody has a different budget, and therefore we offer flexible pricing structures that will fit your budget and needs. This is another unique benefit that All Asphalt Paving & Concrete provides to our customers because many times we can use asphalt in conjunction with concrete to build a beautiful structure that may have been cost prohibitive had the structure been 100% concrete. At All Asphalt Paving & Concrete, high level customer services, attention to detail, and superior workmanship is our primary objective. We are committed to providing outstanding customer services regardless of the size of your concrete project. Our work is never completed until our customer is totally satisfied. Our goal is to not only meet, but also exceed our customer's expectations. Contact All Asphalt Paving & Concrete today at 405.514.1969 for all of your concrete driveway, patio, or sidewalk needs. We have been providing Tuttle and the entire OKC Metro area the highest quality concrete work since 1974, so let us take care of all your residential or commercial concrete needs. You can also reach us by completing the form on our Contact Page here and we will get back to you usually within 24-48 hours. 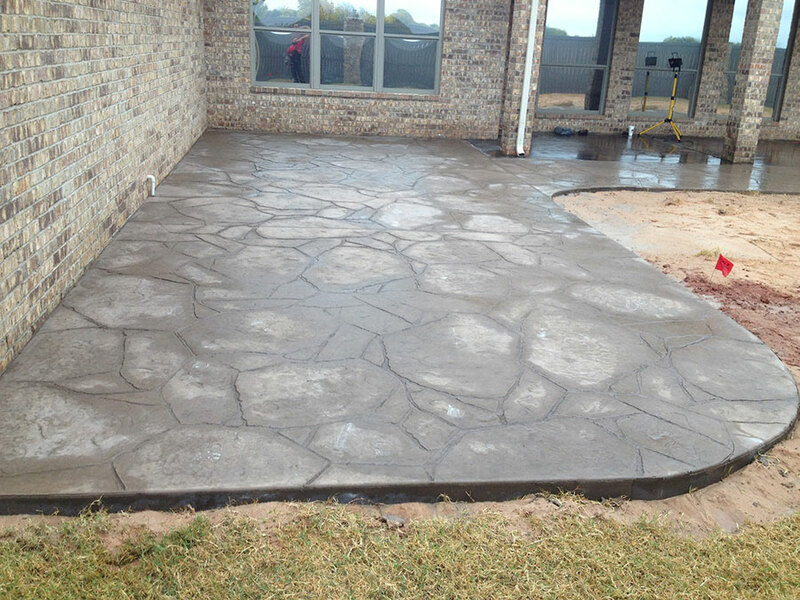 We promise to be the best concrete contractor for your residential or commercial needs in Tuttle, Oklahoma.